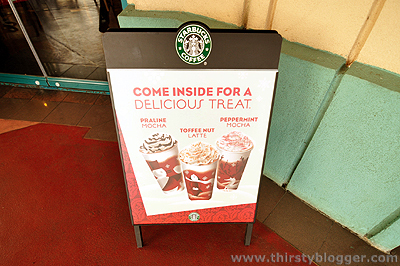 You can now collect stickers again in Starbucks as they have officially launched their annual holiday promo for the Starbucks Planner 2011. It’s now time to get the planner that all Starbucks fans collect (but actually never uses 😛 ). Here’s a photo of how the Starbucks Planner looks like this year. 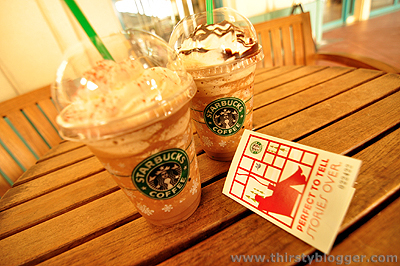 I’m not much of a fan of the Starbucks Planner, but I do look forward to drinking again their holiday beverages such as the Praline Mocha, Toffee Nut Latte and the Peppermint Mocha… specially the Peppermint Mocha. 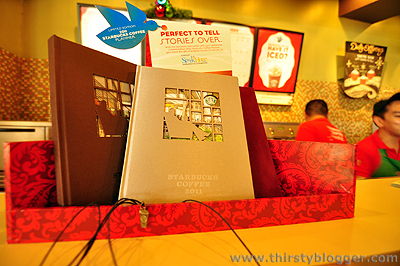 To get the planner, you just need to collect 9 stickers of the Starbucks holiday featured beverages and 8 stickers of the Starbucks core beverages. One thing I noticed though is that, this year’s Starbucks Planner promo no longer supports the SparkHope charity. I was sort of disappointed because that was a good cause in my opinion and actually makes good business sense in terms of marketing. I guess with or without it, Starbucks fans would still want to have the planner for it has actually become a collectible for some people. So hurry up now and collect those stickers! You have until January 5, 2011 to do so. ahhhhhhhhhhhhh!!! i gotta get one. i never completed the stickers… i wish i can this time!!!! haha.. I think they r still working with sparkhope in your picture their logo is on the stand. But if you are right that they r not working with them anymore it would be a pity because the planner only made sense to me when I know I was helping a charity. Hi Nix, you’re right – they’re still working with SparkHope. Thanks for pointing out the logo – it’s easy to miss! And also, I’ve asked about it yesterday and the barista confirmed that part of the earnings still goes to the charity. Just got the planner yesterday, and just like the previous years, there is a SparkHope logo which means this promo means something.